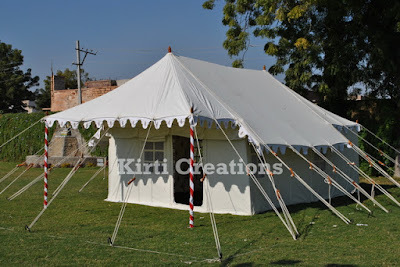 Indian Tent have a best service facilities about all types tent decoration work including interior and exterior designing, lighting and many more. 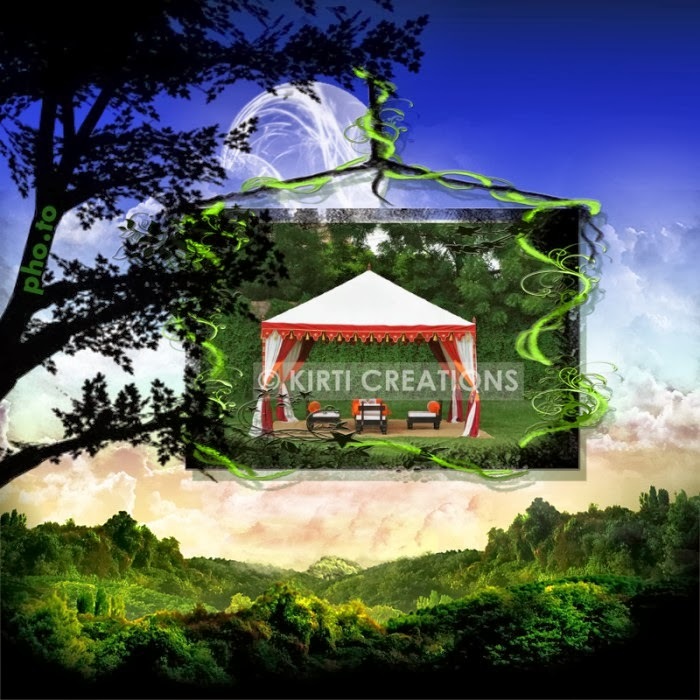 Indian Tent have different types of arrangement for every kind of occasion’s like wedding, birthday, and kind of classical and non-classical occasions. Swiss Cottage Tent can be arranged in anyplace like farm house, hotels and garden. This types of tent for camping and natural tours because these tent is spacious and luxurious. It is the most selling tent in all over India. Fabulous Swiss Cottage Tent- Fabulous Swiss Cottage Tent is easy to architect any surface, internal designing of this tent is newly updated and arranged like living, its exterior look is so comfortably created. We serve tent on timely at the affordable price. Fabulous Swiss Cottage Tent is assembled and disassemble comfortably in garden. It is made from white color of canvas and it has two pillars in front side of tent and the front side of this tent is like a temple. Indian Tent Manufacturer provides many more types of luxurious and amazing tents on rent. If you plan for group outing then this tent is for those who need like luxurious compromise. Indian Tent develop a fully serviced and comfortable tent. Indian Tent provides a good qualities tent decoration, designing and all type accessories.